Join the service and receive authorization-keys to share your competences. No more need to carry those cards and diplomas everywhere. 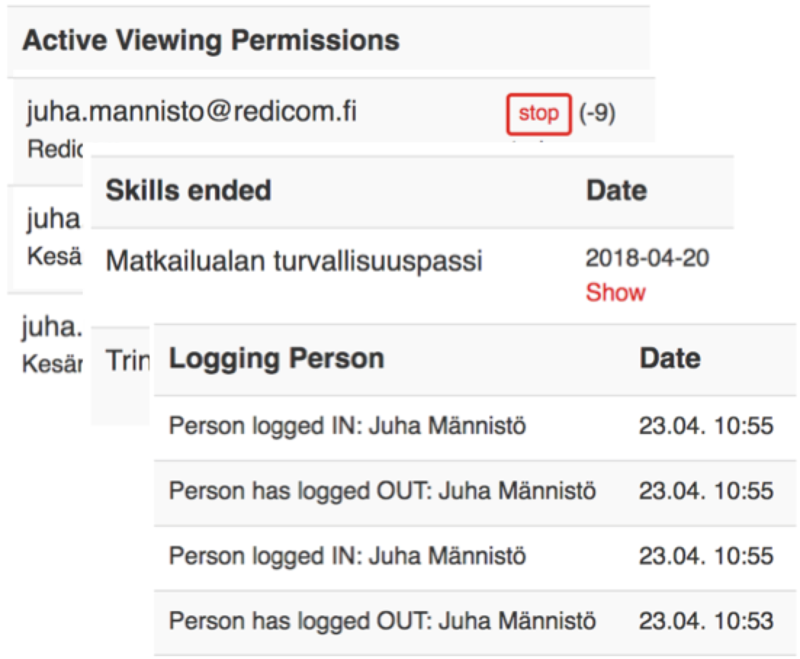 Give your auth-key and link to this page for employer, contractor or anybody in need to see your valid competences. 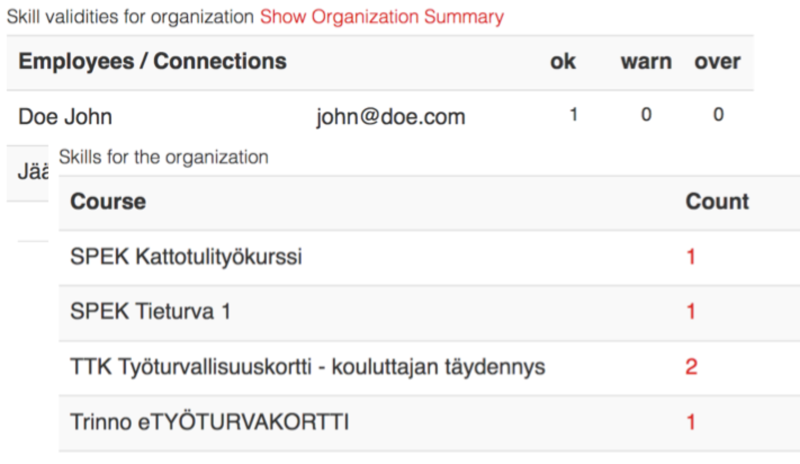 Each query is logged to see who was watching your compentence. By logging in to the system you can create your skills and to set the publicity of each competence. This way you will have automatic Personal Safety Logbook - service for EU-wide usage. Safetypass.EU includes skills-register for organizations. Persons share their competences for the company and Companies get the monitored lists needed. We have also build an backend integration to provide the skills-querys - so that no one has to carry that big diploma-stack with. Compatiple and open system can automatically connect and query skills for the persons in the site. If skills are getting obsolete one will be notified of the matter in time, so that no workdays are lost because of that. This way you will have automatic Personal Safety Logbook - service for employees, freelancers, intermediaries and other organizations and corporates. Safetypass.EU offers fully integrated Course-Tray management to make your own courses visible and to allow potential attendees to reserve a seat in Your training. Educator - just register in, create your organization, create your competence and create your offerings as a course-tray and sit back and prepare your classes. All courses are automatically included in our Search-Engine to help potential parties to find your training. Once attendees sign-in you will automatically get many notification of the upcoming course situation and allow you to be in communication with attendees. If you want to have a skill-register for your organization the first step is to start registering. If you are employer- or educational-organization or you have some public competence-training you need to be registered also before you can create skills/cources. In next phase we are bringing an integrated course-manager to make it possible to manage attendees, course timetables and make searches to available education. Safetypass.EU qualifications can be seen in 'Show qualifications' button.